I’m so happy to come back to Murray Hill for my 19th year! 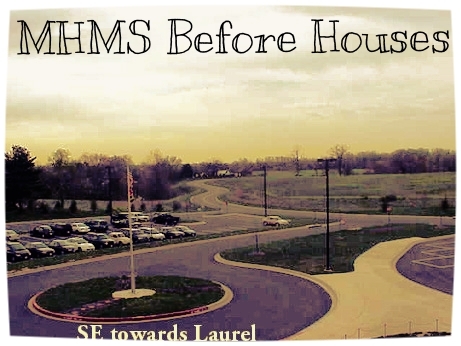 That means, the 8th grade kiddos I taught when we opened Murray Hill back in 1997 would now be in their 30’s! Whaaaat? That’s Crazy! But seriously, I am SO honored to have been a part of this community since the beginning. I never thought I was one of those teachers who would stay in the same school for like, forever! But here I am, still happy, loving our quirky middle school kiddos and the vibrant diversity of our neighborhood! I also like that I live near our community and only have to drive 7 minutes to get here! This year is going to be both fantastic and challenging! Due to HCPSS budget cuts Ms. Bell, our amazing Media Assistant, will not be working with us full time. We’re grateful for any time we’re given to support our awesome Library and Literacy program here at MHMS. A big thanks to Mr. Wasilewski for valuing our program and letting Ms. Bell work with our kiddos in the mornings and during 6th period. We’re both a “cup half full” kinda people! And our mantra for this year is borrowed from the esteemed fashion educator & Project Runway mentor, Tim Gunn – it’s “Make it work” time! 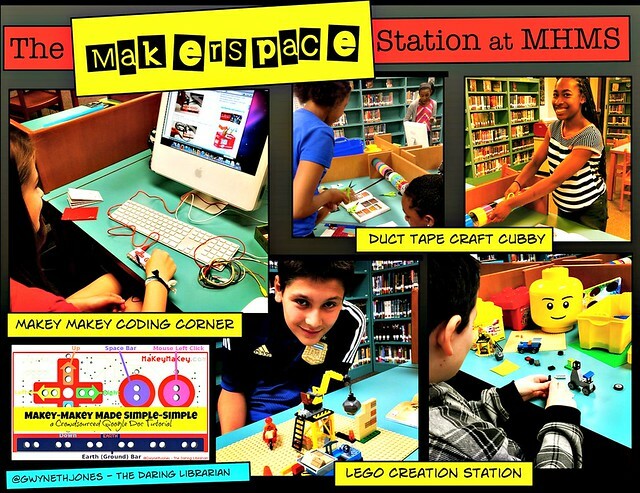 Speaking of making and working I’m excited to set up our The Makerspace Station at MHMS in our Daring School Library Media Center for the second year! We’re going to be adding more stations, robotics, technology and opportunities to create, make, craft, design, code, and construct in our school! For the latest school resources, check our our Back to School Night Wikipage! And don’t forget our Tech Help at Home Wikipage this is a helpful site for all those pesky techy troubles & queries! Our Research Databases Wikpage helps with homework & school projects! ← Summer Reading & Celebrations!